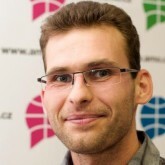 Václav Bacovský is Supervisor of the Czech-German Young Professionals Program. He used to work as a Research Fellow of AMO Research Center and as a project coordinator the Czech-German Young Professionals Program. In 2008 he graduated from master program Political Science at Faculty of Social Sciences, Charles University in Prague. He also studied abroad (Germany, Italy), in 2008 he worked in the Chamber of Deputies of Czech Parliament. Between 2009-2017 he for the German liberal Think-Tank Friedrich Naumann Foundation for Freedom. Currently, he is a freelance photographer, traveller and lecturer.